Client Profile: Delhi based food delivery service. Challenge: Develop an online cuisine store using Shopify where customers can place an order. The client required us to create an online cuisine store utilizing Shopify where customers can submit their order. 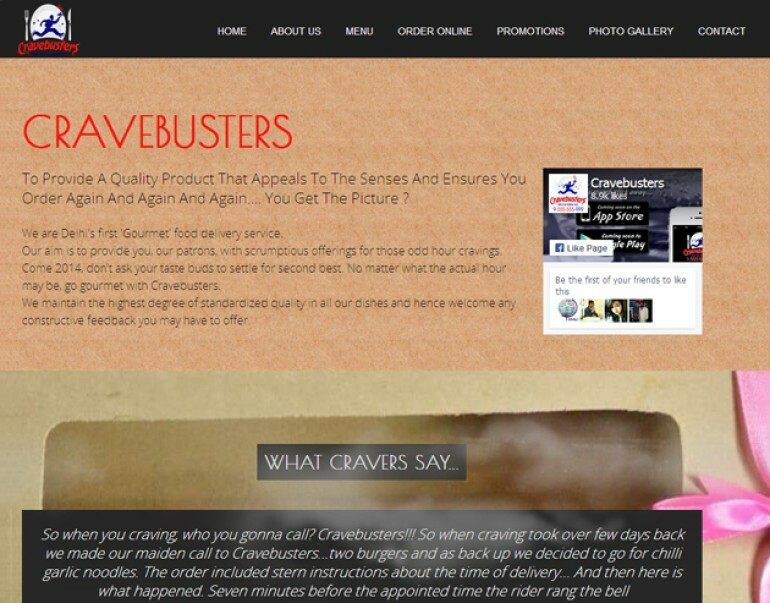 An online restaurant Cravebusters accepts orders online and the same is conveyed to their desired location as per schedule. Users can select a wide choice of breads, burgers, curries, desserts and a much more to make their lunch & supper an awesome one. We executed the functionality to empower users login through social media and buy their craved food by making payment online. When the order is submitted successfully, user will get order confirmation on his given mobile number via SMS.